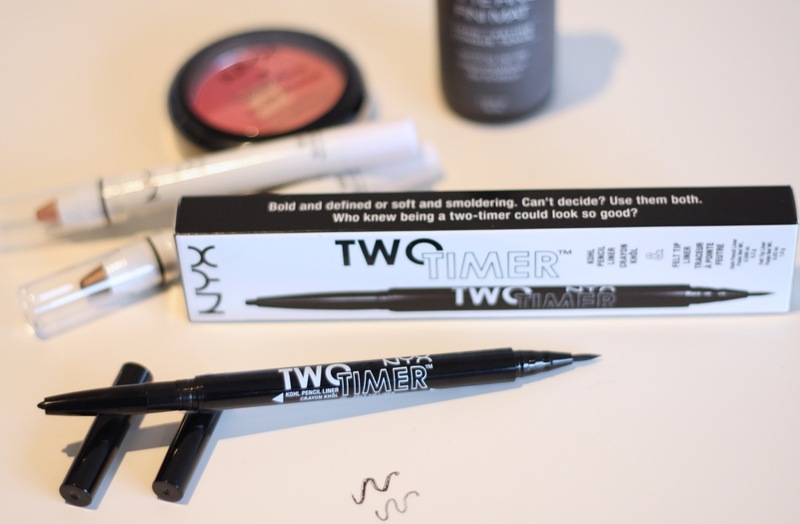 I fell for a Two Timer, a NYX eyeliner, that is! If it is ever allowed to maintain a relationship with, and keep loving, a Two Timer, this is the case. This NYX eyeliner is so handy yo wouldn’t believe. I adore my feline flicks so much that I even wrote about all types of eyeliner. My favourite is the pen, and I found a good friend on the NYX Skinny Eye Marker. With look 4, we are just edging away from halfway of Westfield #BareFacedorBold Challenge – and I have to say I quite like this one, as it is a great everyday look very easy to put together. Think everyday at work, with a dash of lip colour to brighten up the autumn. I was really intrigued when I first encountered this eyeliner. 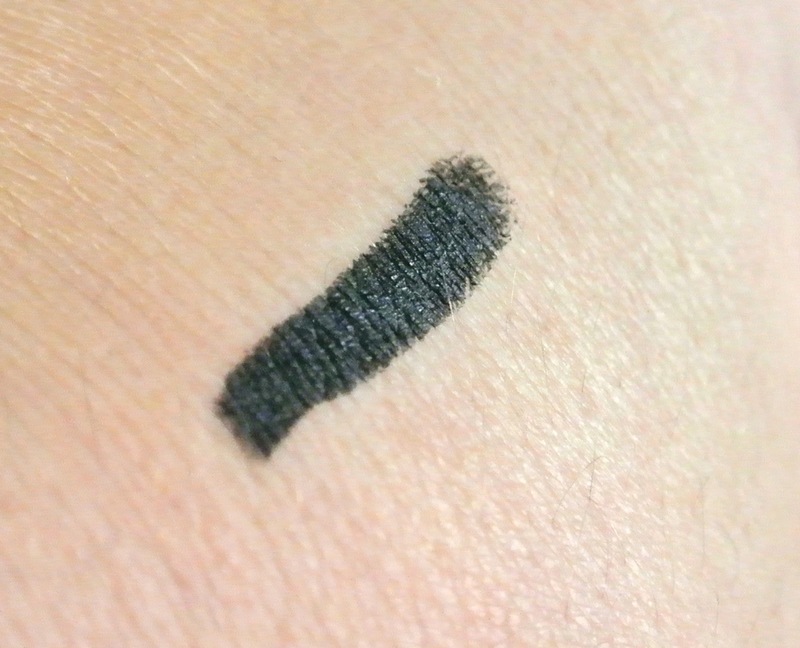 Certainly, the NYX The Curve makes sense, but does it really make life easier when applying eyeliner? Well, I put it to the test! Confession: I cannot go one day without eyeliner. And I mean it. I tried all types: pencils, felt tip pens, gel pots, eyeshadow+slanty brush… you name it, I’ve been there. And I settled for the pen, which is the most practical. 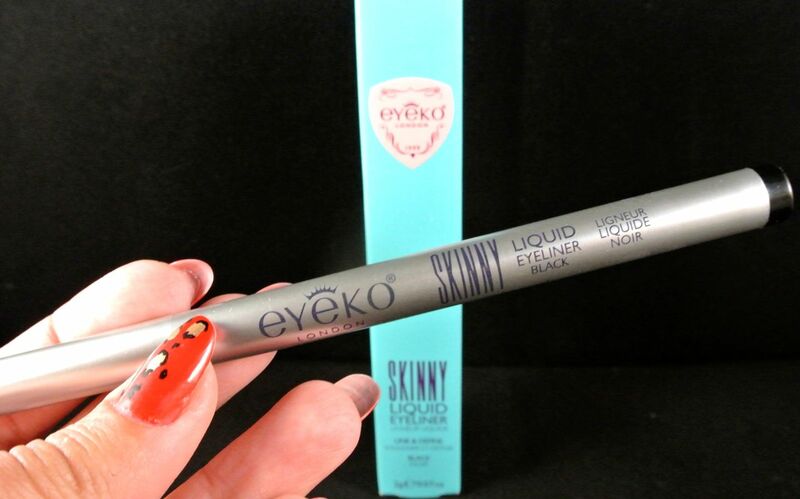 For that reason alone, I was more than excited to try the Eyeko Skinny Liquid eyeliner in black. To start with, I love that the tip is super long. I don’t know why, but I just do. And it is indeed very skinny and precise. Now, I used this one to the end. Using everyday, it lasted about three months. I mean, the liquid is clearly ending, but the tip remains pretty sharp. It is still going – if I leave it upside down or shake it a bit, it will go back to almost new glory. It is still going but I know it is at the bitter end – it has given me all the signs it wants to retire. And I am re-purchasing. I don’t think I will ever let this one go, as I tried many liquid eyeliner pens and this one is really the best one! The liquid is smooth and very black. It dries quickly and I cannot remember having any transfer after applying, at any point. Application is easy, it glides very well with just the right amount – not too dry or too wet. One stroke and you have a solid colour. With any liner, a steady hand is always welcome, but the strong tip really helps. And because the tip is so fine, you can create perfect flicks, with precision. It is also easy to build up to create thicker lines. Durability is also great. I do use an eyeshadow primer, but this baby stays in place all day and doesn’t smudge – even through my spin class (my best and probably unfairest test to makeup durability!). After 8 hours, it starts to fade, but stays in place. It is easy enough to remove with a good eye makeup remover and rubbing is not required – just wipe gently with the damp cotton wool! I especially recommend this to those who are new to eyeliner – as mentioned, the tip really helps if you are not that confident with other eyeliners, and you can create delicate lines! 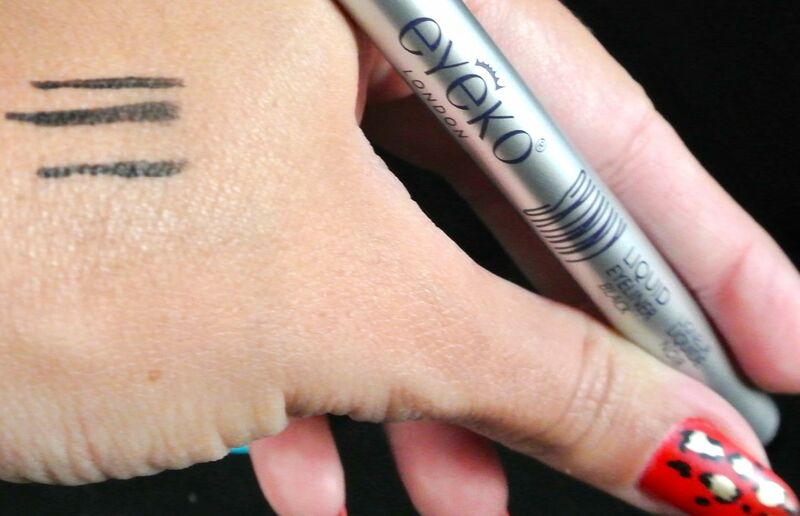 actually, there isn’t a single Eyeko product I tried and did not love. Seriously. Eye wizards! 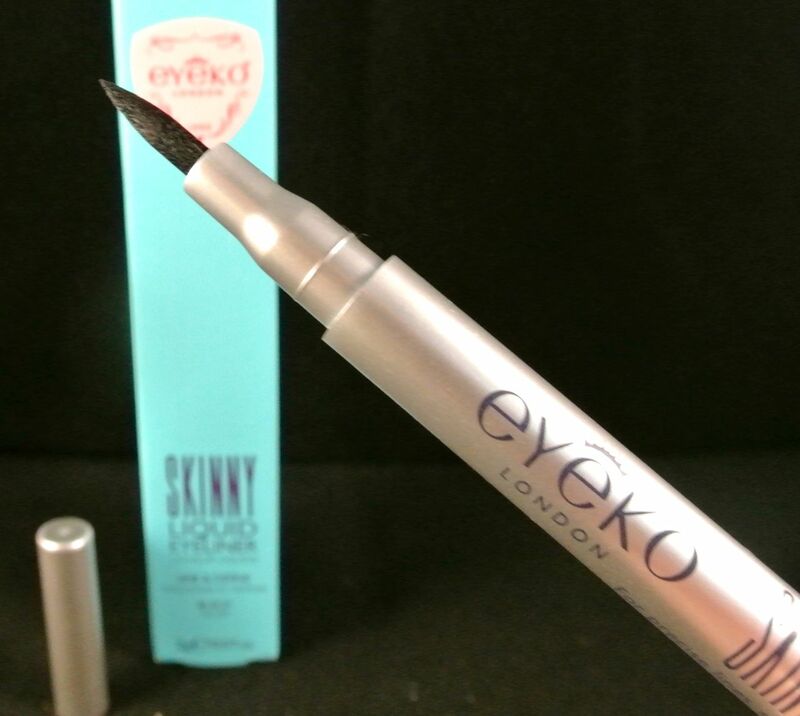 The Skinny Liquid Eyeliner retails from £10 from the Eyeko website and they . At the moment, QVC has a brilliant twin pack for £15 plus p&p – which will come in my Christmas stocking, through “very subtle” hints! 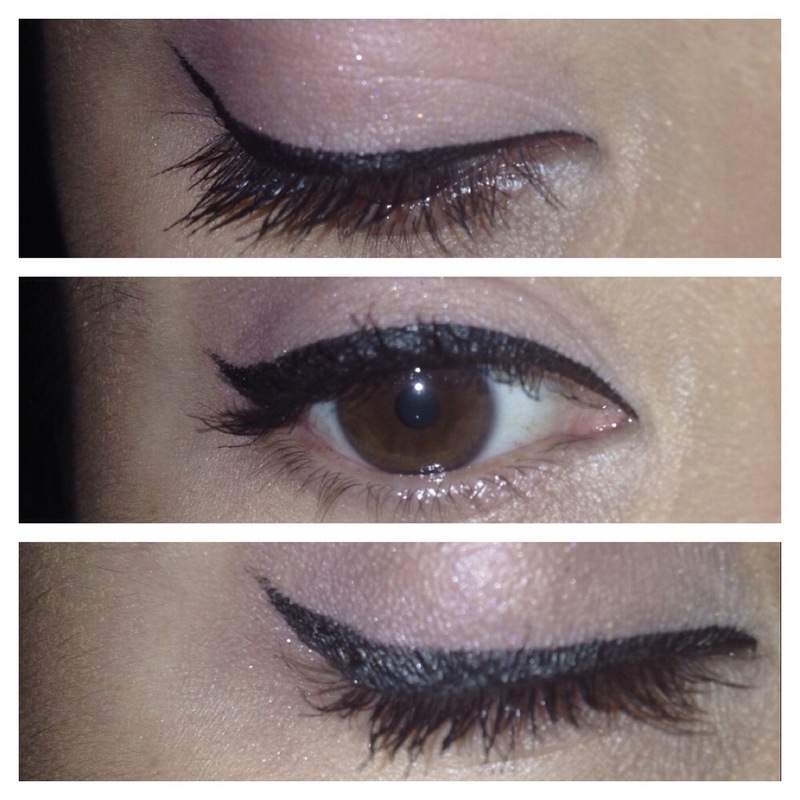 Eyeliner is a part of every makeup I do. A black flick is to be found on my peepers on a daily basis. The JN Beauty gel eyeliner comes as a pencil. Yes, a pencil – which is very practical. I used the Black Caviar and it glides beautifully, without the need to apply too much pressure, making application quick and easy with one stoke. It is also highly pigmented – it looks super black with a glossy finish. 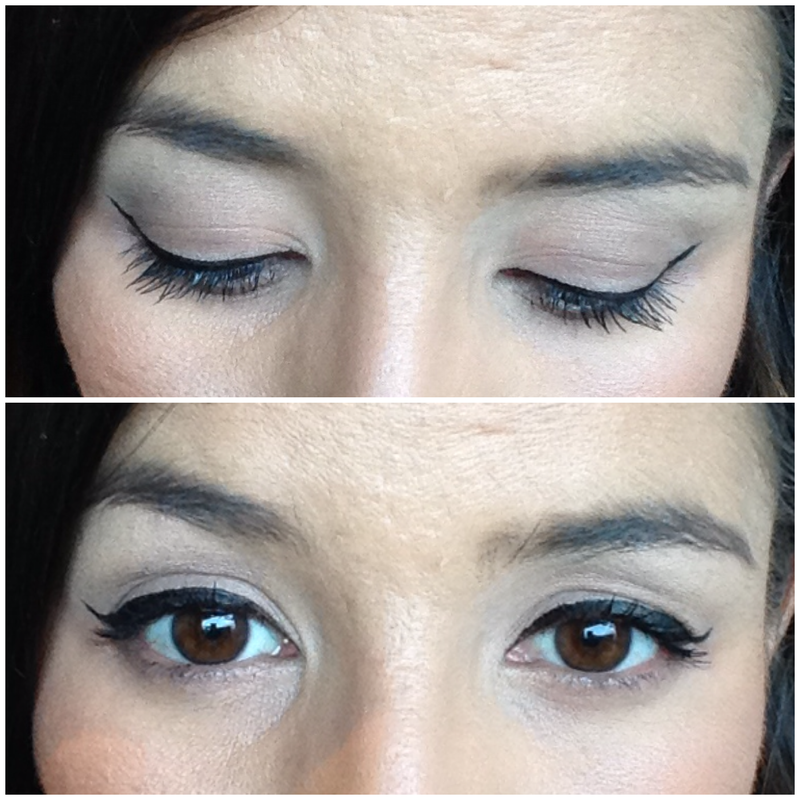 The eyeliner dries quickly after application so it doesn’t transfer; durability is fantastic – it stays put all day! As it is a pencil, the tip is not super fine when sharpened, and it goes thick after a few uses. This is a very minor negative for me as durability of the pencil is reduced, as you need to sharpened more often. Having said that, because the durability is so brilliant, you don;t need to re-apply or re-touch, so maybe it balances out. As for my precise flicks, I just need to be careful when doing the it with the sharp pencil and it ends up perfect! I was very impressed with how quickly I applied my eyeliner perfectly in the morning, the intense effect and also how long it lasted ! This baby will certainly live in my makeup bag! JN Beauty is a British brand founded in 2011 and you can find the Gel eyeliner pencil in six gorgeous colours on the JN Beauty website.